If you are considering moving to North or South America in the near future, consider the city you are moving to and just how expensive or not it will be for you as an expatriate. Living in The Americas: Thinking of Moving Jobs, Cities or Countries? How expensive is it to live in the Asia Pacific Region? The Asia-Pacific Region has some of the most expensive expatriate locations to live in the world. At the number spot is Tokyo for the last quarter of 2012, Hong Kong is fifth, Yokohama seventh, Osaka eighth and Nagoya ninth. What makes Tokyo so expensive and what other Asia Pacific cities are hotspots in the October 2012 cost of living rankings? How Expensive Is the Asia Pacific Region for Expats? The Asia-Pacific Region has some of the most expensive expatriate locations to live in the world. At the number spot is Tokyo for the last quarter of 2012, what other cities are in the rankings? The Asia-Pacific Region has some of the most expensive places to live in the world for expatriates. Would you go there? Which are the cheapest cities to live in as an expat? For the others go here. According to Xpatulator there has been substantial movement this quarter with Zurich and Geneva in Switzerland ranking second and third, Luanda Angola as fourth and Hong Kong China fifth, with Tokyo moving to top spot. The question that often comes up is how tax figures into international salary calculations adjusted for cost of living differences. For example: "Does the calculator take into account the tax rates of each country. I currently pay about 38% in Australia but the UAE tax rate is nil. should I enter my before tax or after tax salary into the calculator." If you use net salary the result will be the net salary in the new location. Given the tax rate is nil in AED the net salary would not be grossed up for tax but will be adjusted for cost of living, hardship and exchange rate. If however the new location tax rate was 25% then the net salary would be grossed by 25% to arrive at the equivalent gross salary in the host location. How Costly Is It To Be An Expat? What makes Tokyo the most expensive place for expatriates is that it is particularly expensive for the items that consume the largest portion of an expatriates living costs. The most expensive countries in the Middle East for expatriates to live in are: Qatar; United Arab Emirates; Israel; Iran; Lebanon. What other cost of living news is there for the fourth quarter of 2012? What are the Cost of Living Rankings for Asia Pacific for October 2012? Tokyo as the most expensive city in Asia-Pacific, Tashkent has become less expensive for expatriate’s to live in relative to other global locations. What are the other Cost of Living rankings for the Asia-Pacific Area? How Expensive Is The Cost of Living in Europe? Zurich as the most expensive city in Europe has an overall cost of living index of 134.23 compared to New York with an index of 100, and Tokyo with an index of 139.89. Zurich’s cost of living index is similar to cities such as Geneva, Hong Kong, and Luanda. Zurich is the most expensive city in Europe mainly because the Eurozone crisis has created a flight to safety in Swiss Francs, which are generally considered safer. The inflows have resulted in the Swiss Franc appreciating, and as a consequence prices have gone up compared to the Euro and the US Dollar. Particularly expensive in Zurich are the following basket groups, groceries, healthcare, restaurants meals out and hotels, and transport. For example a 1 kg bag of apples averages $5.08 in Zurich, 1 kg boneless, skinless, chicken breast $32.65, 1 kg cheddar cheese $23.80, and a 500g loaf white bread $3.17. A private practice doctor visit for an uninsured patient is likely to cost $125 on average, and a private hospital stay, including nursing care, medications, diagnostic tests, food, and related costs will average $3,675 per day. A cappuccino (regular, medium) costs on average $5.14, while a meal out (for 2 mid-range restaurant) $103.40. The average price over the last year for highest available octane petrol / gasoline has been just over $2 per litre. 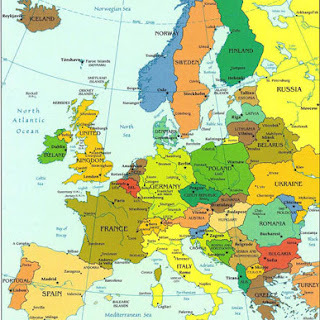 For the full listing for Europe and article go here. How Expensive Is The Middle East in October 2012? The most expensive countries in the Middle East for expatriates to live in are: Qatar; United Arab Emirates; Israel; Iran; Lebanon. The cheapest country and city in the Middle East for expatriates to live in: Sanaa in Yemen (711th most expensive in the world). Doha as the most expensive city in the Middle East has an overall cost of living index of 89.04 compared to New York with an index of 100, and Tokyo, the most expensive city in the world, with an index of 139.89. Doha’s cost of living index is similar to cities such as Aberdeen, Munich, Brussels, and Amsterdam. Doha is the most expensive city in the Middle East mainly because it is a relatively small centrally controlled economy undergoing rapid growth with large scale infrastructure projects. More than 80% of expatriates in Qatar live in Doha. With a limited number of suppliers of goods and services to the country, when a shortage is experienced in one store, it is usually an indication that all stores will be out of stock. Most goods and services are imported at great cost. Added to the fact that salaries are reputedly the highest in the region (Nationals received a 60% salary hike in September 2011), the cost of living in Doha has increased relative to other cities in the region. most other parts of the world. To provide an assignee, sent from a low cost of living country to a more expensive country, with a similar purchasing power to what they have in their home country, requires an adjustment to their assignment salary. The amount of adjustment depends on which country they come from. The larger the difference in cost of living, the larger the adjustment required to ensure a similar level of purchasing power in the host country. New York City is used as the base for the cost of living index rankings and the US dollar is used as the base currency. The cost of living data collected is representative of an expatriate lifestyle, where the local prices for fixed quantities of the same good and services at or near each location, and US dollar exchange rates are used. Prices in each location are affected by availability (i.e. supply and demand) as well as local pricing regulations and taxes on goods and services (e.g. premiums on luxury goods). Local inflation is usually representative of local price increases, which in turn impacts an expatriates purchasing power in the host country. The exchange rate impacts both the price of imports to the host country and the expatriate assignment salary calculation between the home and the host country. 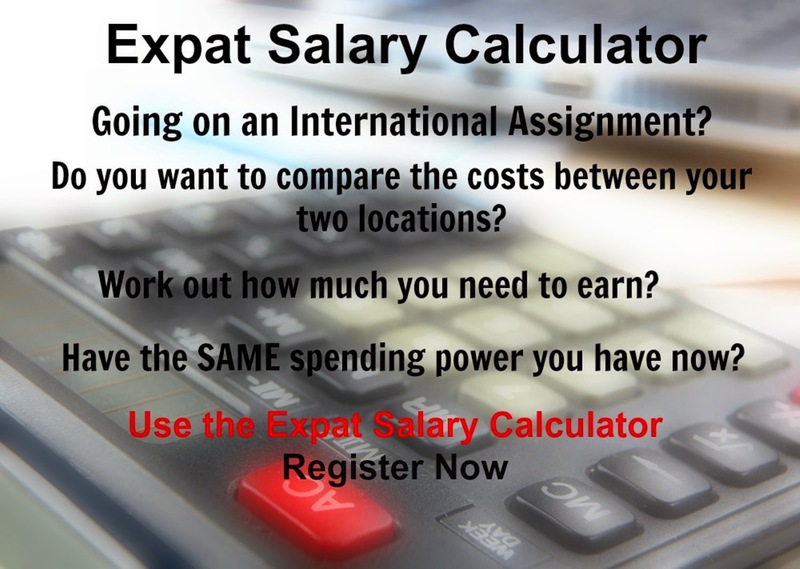 The cost of living has a significant impact on the purchasing power of an expatriate’s salary package. 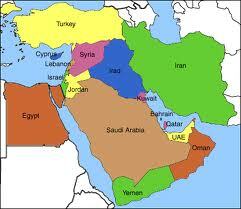 To get the full cost of living rank listing for the Middle East go here. Which cities / countries drop in the ranking, and which moved up? The biggest mover down the rankings is Tashkent in Uzbekistan, which has dropped to become the 474th most expensive location in the world. The biggest mover up the rankings is Papeete in French Polynesia, which has risen to be the 117th most expensive location in the world. Tashkent has become less expensive for expatriate’s to live in relative to other global locations. This is mainly due to the depreciation of the Uzbekistan Som against the US Dollar over the past year. In September 2011 US $1 could buy UZS 1750, today that has risen to over UZS 1920, increasing expatriate purchasing power by just under 10% in one year. Papeetes high cost of living is mainly due to the fact that most goods and services are imported at great cost. Furthermore the economy is exposed to the global economy through its heavy reliance on tourism which went into a long decline from 2006 and was compounded by the global recession. Groceries and communication are particularly expensive. Tokyo as the most expensive city in Asia-Pacific and the world has an overall cost of living index of 139.89 compared to New York with an index of 100. Tokyo is followed by Zurich, Geneva and Luanda in the world rankings. Tokyo is the most expensive city mainly because of the historical strength of the Japanese currency, the high population density, the high level of salaries, and the lack of resources which result in a high proportion of imports. Particularly expensive in Tokyo are the following basket groups groceries, healthcare, housing, and transport. Benchmark price in a major international retail store for 1 kg apples is $7.08, 1 kg boneless, skinless, chicken breast $11.91, 1 kg cheddar cheese $18.22, and 1 L full cream milk $2.73. Benchmark price for a private practice doctor visit for an uninsured patient is $125, and a private hospital stay per day including nursing care, medications, diagnostic tests, food, and related costs is $3,675. Benchmark rental for a secure upmarket unfurnished apartment (3 bedrooms) is $6,293 in a central location, and $3,209 in a suburban location, per month, excluding utilities. For the full Cost of Living Rankings for the Asia Pacific Region go here. When you have earned the opportunity to retire abroad it makes sense to ensure your pension goes on working just as hard as you did. A Qualifying Recognised Overseas Pension Scheme (QROPS) does just that by allowing you to take your UK pension with you and invest it in the fund that best suits your needs. A QROPS frees a pension from many of the restraints that surround it in the UK and can offer huge financial benefits if planned and executed efficiently. Essentially a QROPS pension transfer allows anyone living abroad or planning to move abroad in the near future to put their UK pensions, free of UK tax, into any offshore fund approved by HM Revenue and Customs. You control not only how it is invested but where it is invested, allowing you to choose the jurisdiction with the most beneficial tax system for your circumstances. In some cases this can mean paying no tax at all on your retirement income. A QROPS is also very flexible with a range of investment options that allow you to balance factors such as risk level against the growth and income you expect to receive. And that flexibility extends through the life of the pension, allowing you to take advantage of changes in your situation or in the economic climate. The key difference between a UK-based pension and a QROPS is that you retain ownership of all the money in your pension fund. You do not have to buy an annuity on retirement, although you can if you wish. Instead your money is invested directly in a QROPS under an asset management plan geared to suit your requirements. And in the event of your death all unspent pension funds can be left to your beneficiaries without being taxed at source. A QROPS is suitable for anyone living abroad with a UK pension, both expats and people from other nationalities who retire to their home countries. There is no set figure for the amount required to set one up, but experience has shown that an initial investment of over £25,000 is needed to make it worthwhile. It really comes into its own, however, with a pension fund exceeding £100,000 which will allow you to place you investment with an approved offshore portfolio bond of your choice. As with all financial planning it is essential to seek professional QROPS advice before making any decisions. An independent financial adviser will consider your circumstances and be able to advise on whether a QROPS is right for you or whether an alternative plan such as a qualifying non-UK pension scheme (QNUPS) would be a better option. Zurich City - Just How Expensive Is It? Zurich in Switzerland is a cultural Mecca and renowned for being one of the most desirable cities to live in many a survey. It is also however one of the most expensive cities to live in, ranking in the top ten worldwide and in Europe, in the Xpatulator Cost of LivingRanking Survey for 2012, being surpassed only by Hong Kong and Tokyo respectively. It is not surprising that Hong Kong is sitting at the top of the list of most expensive places to live in the world. Why? While Hong Kong used to be a major manufacturing centre before WWII this only contributed towards 9% of the countries GDP, today 90% of this comes from the service sector. Hong Kong has one of the world’s largest financial hubs, as well as an important trade and cultural hub. 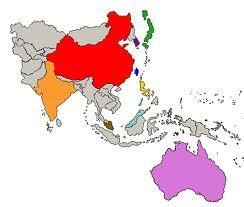 It is considered as one of the Four Asian Tigers in terms of its rapid industrialisation and impressive growth rates. The Hong Kong dollar is also linked to the US Dollar, ensuring its strength even in the economic crisis of today, with the Hong Kong Stock Exchange ranked at 6th in the World. In 1997 Hong Kong rejoined main land China, which resulted in it becoming more international, and a popular holiday destination. As a former British Colony, Hong Kong has always been fashionable with expats from Europe with its high standard of living and low tax rates resulting in an approximately 100, 000 expat community. Expats however, will find most things are more expensive here than in their home country, especially if trying to maintain the same standard of living as experienced back at home. Hong Kong is ranked as the most expensive place to live in the world according to Xpatutualor.com’s latest cost of living rankings for July 2012. The cost of housing in Hong Kong is one of the largest contributors to the high cost of living mainly due to the shortage of land. It is approximately 5% more expensive than Tokyo based on the overall cost of living including household accommodation. Household accommodation comprises 30% of the overall cost of living index. A huge contributor to this cost is the lack of space, with the majority of the population residing in apartment buildings and housing enclaves. Choice varies enormously, where on average a single-bedroom apartment of 500 sq ft in Happy Valley will cost you around $2 000, or for the same amount you can have a 3 bedroom village house in the New Territories. If budget is a concern, many expats live in communities such as Discovery Bay on Lantau Island, rather than living on Hong Kong Island. Even further out in the Mui Wo, Sai Kung or Cleanwater Bay prices are even lower, but you must be prepared to commute to work. These communities do have fully formed communities, which include schools. Only the wealthiest people get to live in the luxurious hilltop village which overlooks the China Sea. The state also relies heavily on imported goods and products from Mainland China and other nations. Imported meat products, canned foods and fresh fruit and vegetables are very expensive and can cost twice as much in comparison to other Asian countries. Beverages such as wines, beers, tea, coffee and water, are all imported, making them expensive to purchase. Imports from China are however relatively less expensive than those from other Western countries. There are a number of supermarket chains in Hong Kong these include Wellcome and ParknShop. There are also Westernised supermarkets such as ParknShop International, where expats can find most products from their home countries, but be prepared to pay double or triple for the most basic item. The best advice is to find local wet markets where low cost produce and goods are available, and buy fresh fruit and vegetables once or twice a week to ensure quality and freshness. Restaurants abound in the city and are roughly divided into East and West Style cuisine. The Western style restaurants are regarded as international and are therefore much pricier. To experience true bargains and the local eastern cuisine, go to one of the many tiny noodle bars, where you can get a dish for $3, while at the larger Cantonese style restaurants meals go for $10 a head. Tea shops are easily recognisable by their huge shining brass kettles and supply piping hot or cold drinks for only $2. Alcohol at local shops is significantly lower than in cities such as Singapore, New York and London, however will be twice as expensive in the international hotels and trendy bars. Transportation in Hong Kong is reliable, with Taxi’s and MRTs (Trains) being the most used mode of transport. Taxi’s have a starting price of $2.50 and have a quirky colour code system – Red will mostly take you to Hong Kong Island and Kowloon areas, Green only serve New Territories and Blue run exclusively to Lantau which includes the airport and Disneyland. The MRTs cost between $0.30 and $3 per journey, while a ferry shuttle across the complex of Hong Kong Islands can be as cheap as $0.15. An Octopus Card, which covers all public transport, will help you save any more on transport costs and allow you to easily manage without a car. Clothing is enjoyably affordable, as most wares such as clothes, footwear, cosmetics and accessories come from Mainland China and can be found in the local flea and night markets in the downtown areas. Jewelry, gadgets and electronics are also cheap but the quality is questionable. Labels and brands abound in the Kowloon district shops and malls, where designer wares are popular as the styles and patterns are very much updated with British standards. Healthcare is also given importance, medical and rehabilitation services are not subsidized and medical insurance is recommended. The best way for most expatriates to keep costs low is to adopt a local attitude and live as the locals do. Look for bargains, buy from local shops, go to local restaurants and live a local lifestyle. Denise is an Expat and Marketing Manager at http://www.xpatulator.com/ a website that provides cost of living index information and calculates what you need to earn in a different location to compensate for cost of living, hardship, and exchange rate differences. The complete cost of living rank for all 13 baskets is available here. Latest Cost of Living Rankings out tomorrow 1 July - Don't miss out!! Will Tokyo retain its top spot as the most expensive place to live in the world based on the overall cost of living, encompassing all cost of living baskets for the 3rd quarter of 2012. How about Zurich, is the city still the most expensive based on the cost of living excluding the housing, education, healthcare and transport baskets. Where is the cheapest city to live in the world? 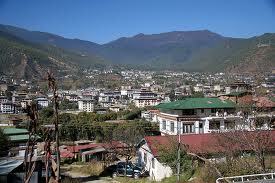 Is it still Bhutan? What are the overall Cost of living indexes and who is going to win the race? brought to you by Xpatulator.com for your most comprehensive source of cost of living information .